Breakfast is the most important meal of the day. It’s equally important that your breakfast be worthwhile! 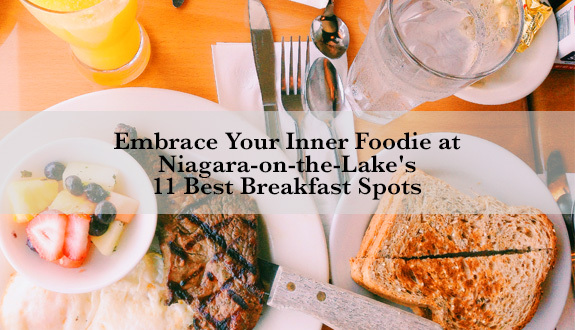 There is no better way to start off your day than enjoying the best breakfast in Niagara Falls or a fine gourmet breakfast or brunch in the beautiful town of Niagara-on-the-Lake. Going out for breakfast is usually lighter and more relaxing than going out for dinner. Indulge without worry because you’ll have the energy for all your daily activities. Whether it’s shopping at the boutique shops or enjoying a performance at the Shaw Festival, you’ll be ready to go. Niagara-on-the-Lake’s hotels are home to some of the best fine dining restaurants in the Niagara region. These restaurants are famous for their top service and high quality meals. Treadwell is a farm-to-table restaurant that specializes in “Niagara Cuisine.” Their focus is on making sure that everything served on the menu comes from a local farm or greenhouse. Ontario suppliers provide anything that is not sourced locally. Here you can expect luxury dining, with the brunch menu featuring gourmet entrees such as eggs benedict with pork belly and a sour cream and chive scone. Stop in at Treadwell for brunch as you browse the boutiques in the historic old town, or before you head to a matinee at the Shaw Festival. Zee’s offers seasonal selections, with a menu that changes according to what’s fresh. For a high-end gourmet breakfast, Zee’s is the place to be. The breakfast menu, served from 8:00am to 10am, features free run eggs, local dairy and produce, and fresh ingredients. Lunch is served at 11:30am, so a nice brunch is also an option. Zee’s is conveniently located lear many of the town’s luxury spas and boutique shops, and makes an excellent starting point for a nice, relaxing day out. One of Niagara’s award-winning wineries is also an excellent place to be for a gourmet weekend brunch, complete with views of Peller Estates’ gorgeous property. Go beyond your boring bacon and eggs and try one of the unique dishes sure to keep your tastebuds happy. Some highlights include scallops, acorn squash and apple salad, and brioche french toast. Each of Barrel House Grill’s brunch dishes is paired with a selected wine from Peller Estates, and tasting plates are also available. The breathtaking Queen’s Landing hotel is the home of Tiara Restaurant, with picturesque views of the harbour. Sunday brunch is a Tiara Restaurant specialty. For this occasion, a brunch buffet is served featuring a vast lineup of gourmet food. Everything from breakfast to lunch items are available, including roast chicken, soups, charcuterie, salmon, various egg dishes, bacon, and even sushi! Many of the items on the large menu at Tiara Restaurant are made using local ingredients. If you’re attending a Sunday matinee at the Shaw Festival, or are returning from a church service, Tiara is an excellent brunch stop. For those early risers, Tiara also offers a regular weekday breakfast service beginning at 7:00am. For a basic, but gourmet, breakfast, the Hob Nob Restaurant serves a basic menu starting at 8:00am. If you want a traditional egg and bacon breakfast at the highest quality, this is the right stop for you. Other menu options feature homemade yogurt parfaits, deluxe french toast, and freshly baked croissants. The overarching French theme adds an extra dash of elegance to your meal. If you’re looking to embrace your inner debutante, the Hob Nob also offers afternoon tea, where they serve a small menu featuring delicate sandwiches and cookies. Get the world-famous Niagara-on-the-Lake luxury dining experience at one of the oldest hotels in the town, the Prince of Wales. This hotel is often featured as an icon for the town because of its magnificence and beauty. Escabeche is one of the top fine dining locations in Niagara. Here you will find a unique and truly gourmet breakfast for any appetite or diet. There is something for everyone here, from vegan smoothies to a hearty steak breakfast, and it’s done with fresh, local ingredients. The Drawing Room of the Prince of Wales also serves afternoon tea by reservation, if you feel like enjoying a graceful and elegant afternoon snack in the traditional style. Looking for a quiet way to start a relaxing day? If so, the Riverbend Inn would be a great choice. It’s located just outside of the old town on a beautiful vineyard. You’re just far enough away from the hustle and bustle of the old town, but close enough to enjoy the atmosphere of Niagara-on-the-Lake’s elegance. As a result, you get the perfect gourmet breakfast spot. The Pillar and Post is “Ontario’s only five-star country inn,” combining luxury with comfort for the ultimate vacation feel. The inn is home to a Tuscan-themed restaurant, The Cannery. This delicious spot features many of the comforts of Italian cooking mixed with a gourmet flare. The brick oven will leave your mouth watering with the smells of baked pastries and breads. The Cannery serves breakfast every day, featuring classic menu items and gourmet egg dishes. In addition to this decadent menu, a Sunday brunch buffet is also available. Gourmet items line the buffet, from seafood and pasta to pancakes and waffles. 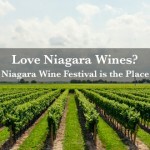 Located outside of the old town, Trius Winery is one of the more prestigious wineries in the Niagara region. The restaurant specializes in fine dining as well as an upbeat atmosphere. Trius does brunch in style. In addition to a three-course meal featuring local ingredients, enjoy perfectly selected wine pairings. Seasonal produce inspires every menu item. As a result, every single detail is perfectly crafted. Start your day of wine tasting with a gourmet brunch, and the rest of your day will be absolutely marvellous. 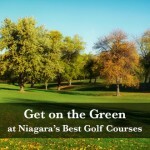 White Oaks is located across from Niagara’s luxury outlet mall, the Outlet Collection at Niagara. Spend the day pampering yourself while you shop, enjoy the spa, and indulge in a gourmet breakfast at LIV. LIV’s breakfast menu features a variety of options, including a wellness menu, lighter options, and heartier meals. All options are customizable, so if you’re vegan or gluten free you will never have to worry about being limited. 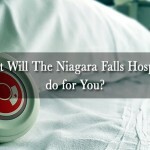 Indulge with style in this modern, contemporary atmosphere in one of Niagara’s most luxury resorts. Upper Vista puts you just a quick drive away from Niagara’s gourmet breakfast and brunch spots. Living at Upper Vista’s unique luxury condo resort will make it easy for you to indulge in a gourmet breakfast whenever you want. While a cafe will be on premise, a quick drive takes you to the upscale restaurants of Niagara-on-the-Lake. Enjoy living just minutes away from world class dining while waking up to breathtaking views every day. Live like you’re on permanent vacation at Upper Vista. All the amenities you need will be right at your disposal, including a pool and sauna. Register today to view a price list and check out a floor plan of the project. What are you waiting for? Luxury living is coming to Niagara Falls.